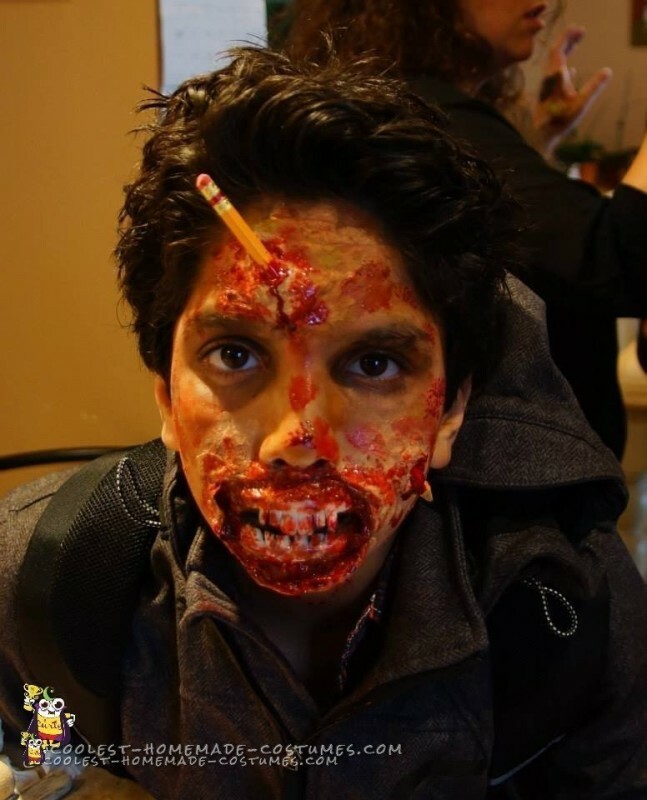 Last year for Halloween we I did the makeup for my two boys who wanted Zombie makeup. Year after year we try to do original makeup with small budget and a maximum of creativity. 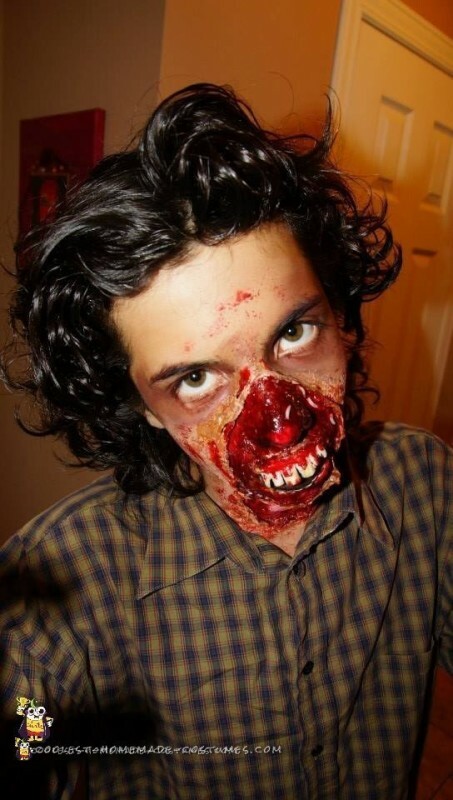 Arthur had the skin removed from his face and his throat. 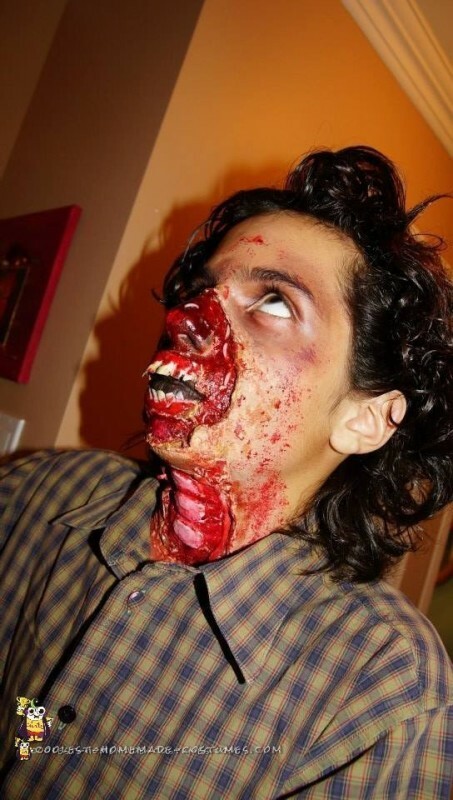 We used false nails filled with latex to build the tooth, we used silicon gel to make the throat, and paint and blood for the rest. We added some rice for making white worms. Lucas has also his mouth skin removed and we also added a pen inside of his head. 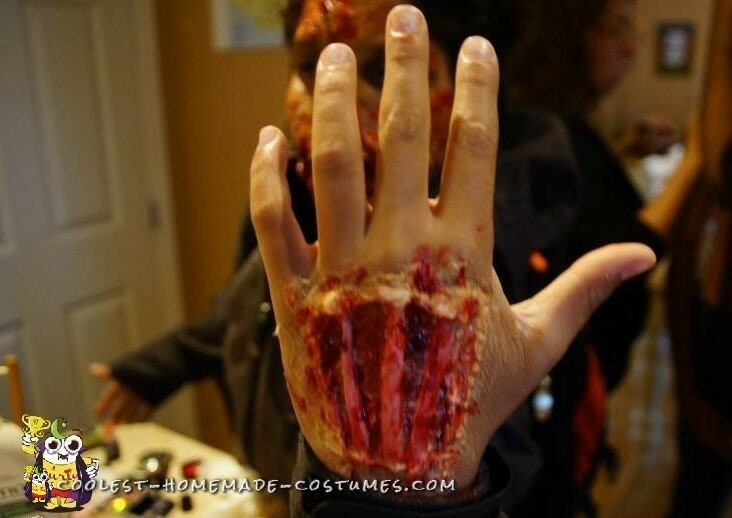 For his Zombie makeup we also used silicon gel to make his hand injured where we can see the bones and flesh.